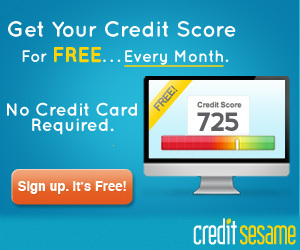 Credit Sesame is a 100% free personal finance credit and debt management tool with no credit card required or trial period. Credit Sesame makes managing personal credit online, owing less in interest and saving on mortgage, loan & credit card payments easy! Credit Sesame makes managing personal credit online, owing less in interest and saving on mortgage, loan & credit card payments easy! It gives an instant view of consumer's credit, including Experian credit score, refreshed monthly & for free, & debt analysis with personalized offers tailored to consumer’s credit profile.